We take great pleasure in inviting you to the second Business Forum to be held in Brčko District of B&H, which will be held from 6th to 9th November 2018. The Forum is organized by the BD of B&H Government and technically assisted by the Association of Accountants, Forensics and Auditors of BD of B&H. 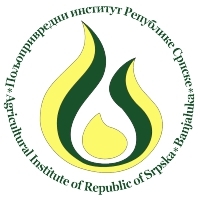 The Faculty of Economics – Brčko of the University of East Sarajevo provides its full support to this event. The Business Forum will be a place of gathering and exchange of opinions among the representatives of governance, creators of economic policies and potential investors. The Forum will address relevant issues important for the state of play in the Brčko District of B&H, starting from the population, business environment, innovation, investment, cooperation, entrepreneurship, labor markets and education. We would be delighted if you could attend the first Business Forum in Brčko District of B&H and address the audience. We look forward to your confirmed presence at this event. Contact phone number: +387 65 647-580; +387 65 713-010.